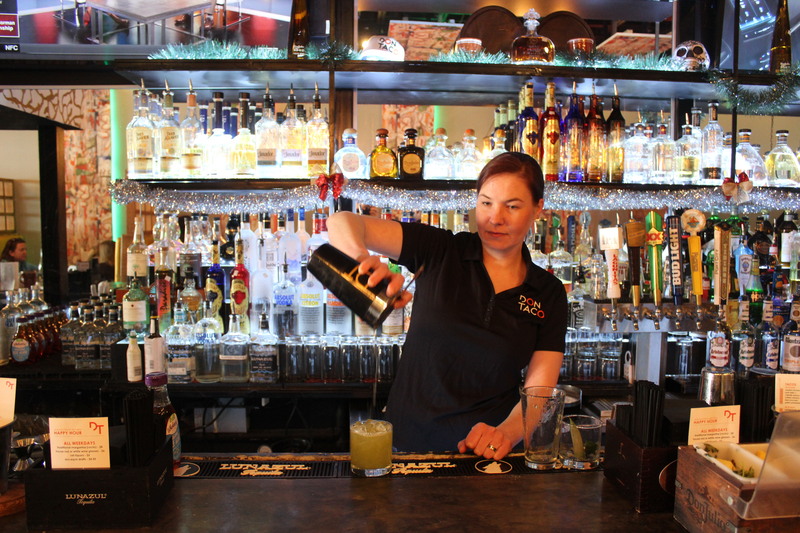 Alexis is behind the bar Tuesday, Thursday, Friday, Saturday, and Sunday evenings. The completely practical and simple answer to this question is the 2008 financial crisis. I helped support myself through college and my adventuring years after college by waiting tables. 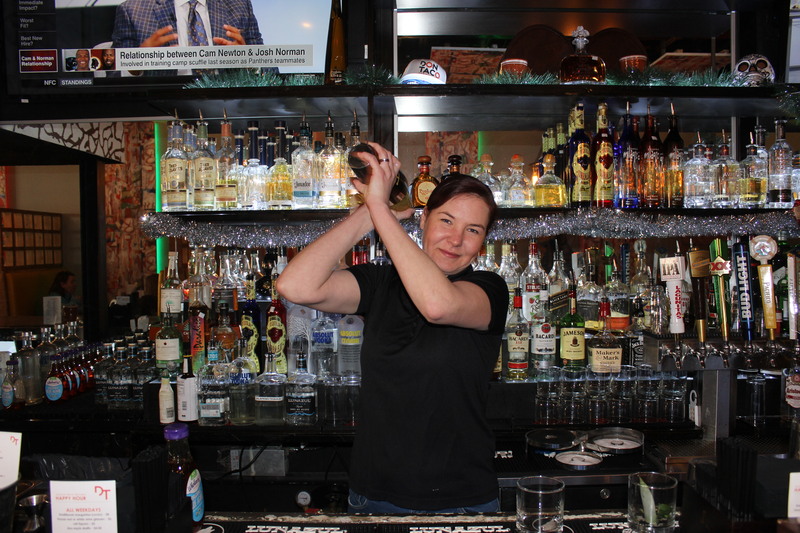 In 2008 after seeing so many families struggle, I decided to learn to bartend. Now, no matter where I go, no matter what I am doing, I have a skill the weathers economic uncertainty. People, it seems, tend to visit bars more when the economy is bad for a little comradery and community. 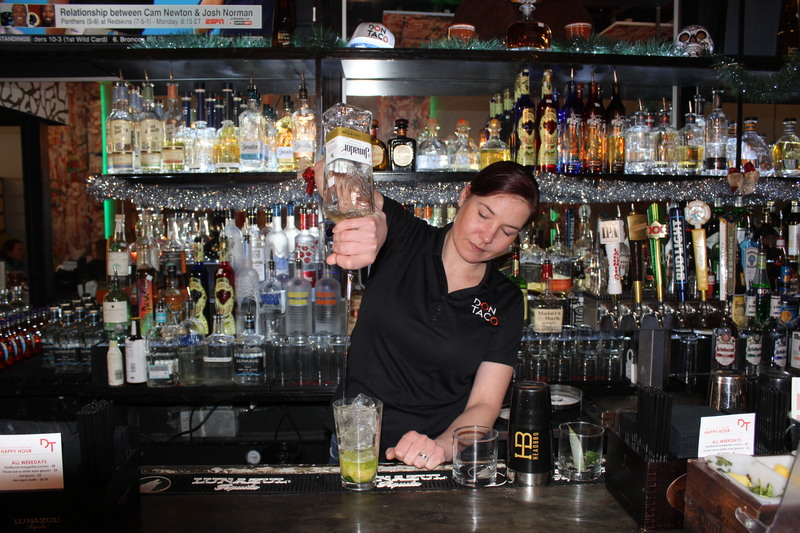 What is your biggest bartender pet peeve? People interrupting me while I’m serving another customer at the bar and that general lack of consideration for your fellow bar guests. Everyone is at the bar to have a nice time. And it’s never appreciated when one person or group insists that they have the right to have a better time than everyone else at the bar. What is the cleverest line anyone has ever used to get you to give them a free drink? Ah….getting marriage proposals are always funny. I give you alcohol and food and apparently this makes me marriage material. I have been proposed to with flowers, multiple kinds of food, and even a ring pop. What is the best/worst pickup line you have overheard at the bar? I had a customer who was sitting in a lounge section outside the bar. He seemed to feel bad that I kept leaving the bar to come check on him and mentioned “he would come to the bar if he needed anything”. However, as I was walking away he made a comment about how much he enjoyed watching me walk away. I was a little off put but at the same time the line was executed in such a suave way that I eventually married that guy. Tell us about an interesting encounter you have had with a customer(s). 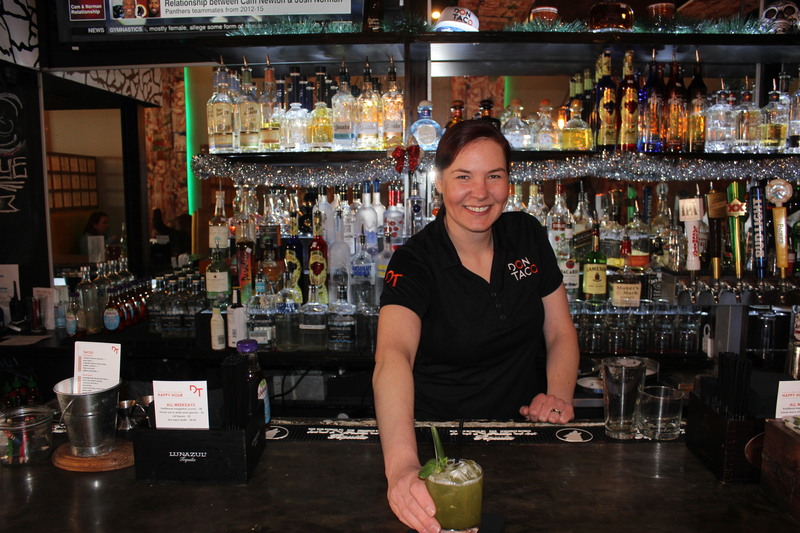 In my early days of bartending, I had a very intoxicated customer wander into the bar. He stared solely at my chest and kept telling me how pretty I was. After refusing to serve him, he managed to look at my face and began to swat at me across the bar. This began an epic ordeal. If his eyes wandered up he would swat at me. If his eyes wandered down he would let me know how pretty I was. If you could sit down and have a drink with anyone in the world, past or present, who would that be? Gertrude Stein and her companions in 1920’s Paris. I feel like they threw a good party. Good drinks, good company, lively conversations, and the awakening of a new artistic and social era. 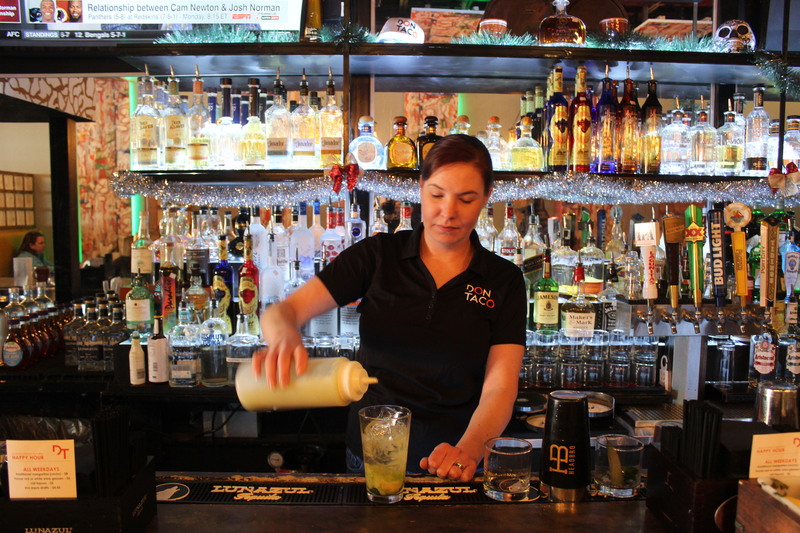 If you would like to see your favorite mixologist featured in this space, send contact information to office@oldtowncrier.com. « The MGM Casino and Resort – It’s Grand!